Jacques Skuteeki helps Business Owners find new customers, grow their cash flow and lower operating expenses using a systematic approach to increase purchasing power and reduce potential revenue loss. Through membership access to a uniquely designed network, Jacques leverages his skills in Strategic Business Planning, Advertising, Entrepreneurship, Sales & Management Consulting to catapult his clients to even more profitability by leveraging the powerful Trade and Barter Industry. 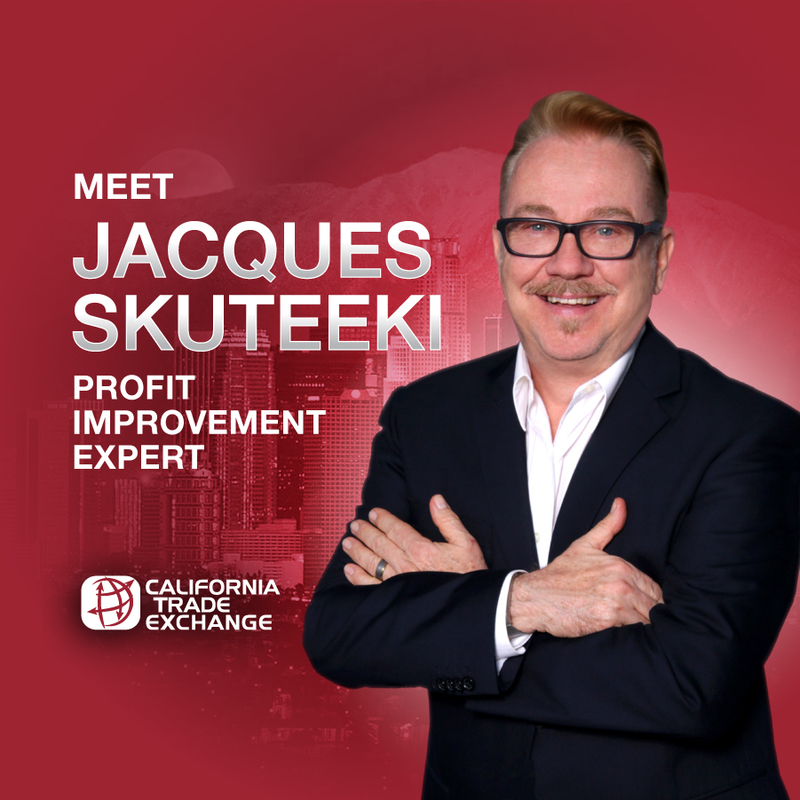 Founder of CTX Club for California Trade Exchange, Jacques uses an innovative yet proven concept to support his clients. Learn about barter and how it can help your business. Subscribe to our monthly newsletter to get updates, tips and resources to help you understand how barter works and how your business can benefit from it. Join today and start learning how you can save your cashflow and get rid of your excess inventory.